It sounds deceptively easy to say that the secret for both weight management and a stronger body is to eat better food. With all the temptations at local grocery stores and the hectic rush modern life imposes upon us, planning meals for the day or the week may be one chore too many. Yet meal planning has been shown to facilitate fitness success. Meal planning seems like a small step in the journey to good health. Many people are surprised, however, by how effective the simple act of meal planning and tracking can be. Planned meals play a tremendous role in the perennial search for a healthier lifestyle. That’s why Jax Nutrition now offers a free version of our meal plan program. Meal plans in general, whether a specific meal plan program or a less formal meal outline, offer a tool for both accountability and the banishing of temptation to eat unhealthy foods. How do they do this? 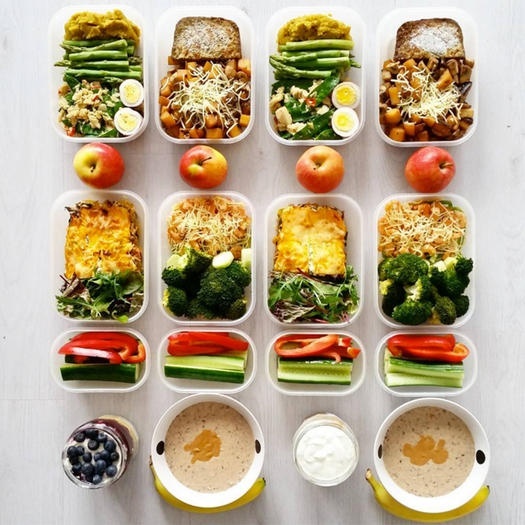 Meal plans provide the chance for people to thoughtfully design meals around caloric or nutritional targets, around food sensitivities or diet restrictions, and around balanced portions. A study out of Australia reported that in their research, they found that groups who tracked their nutrition found greater success (the goal was weight loss) than the group that didn’t. A meal plan program can lead a person to shop for and consume food more mindfully. Meal planning can also keep the user accountable; “The power in this is that it really increases your awareness more and makes you think literally twice about a food before you eat it,” dietitian Melissa Dobbins, RD, states. For those new to the healthy eating journey, or those who'd like help to create a framework for a lifetime of healthy meals, Jax Nutrition offers a customized meal plan program to help support your goals. Customers can receive a free meal plan, tailored to their specific goals and dietary needs, that will help put them on the path to their wellness goals, whatever they may be! While a structured meal plan may not be the right tool for everyone, many people find them to be a valuable tool in building a sustainable foundation for a lifestyle changed for the better. The Jax Nutrition meal plan program is created around the goals you want to meet, and to work within your needs to support your way of life. It is not one-size-fits-all; it does not force you to conform to someone else's nutritional requirements. It is created for you, with your input, to help you achieve your optimal success. For more information on a customized meal plan, or other questions about good health, contact Jax Nutrition today!